In 2005, experts at Procter & Gamble® dubbed the shelf as the "first moment of truth" in retail, where shelf-level merchandising, promotion and advertising can greatly affect consumer choice. This is the point at which marketers have the best opportunity to convert a browser into a buyer. The shelf edge in most stores is used for standard price labels, but there is an increasing amount of marketing happening on that narrow strip of real estate. 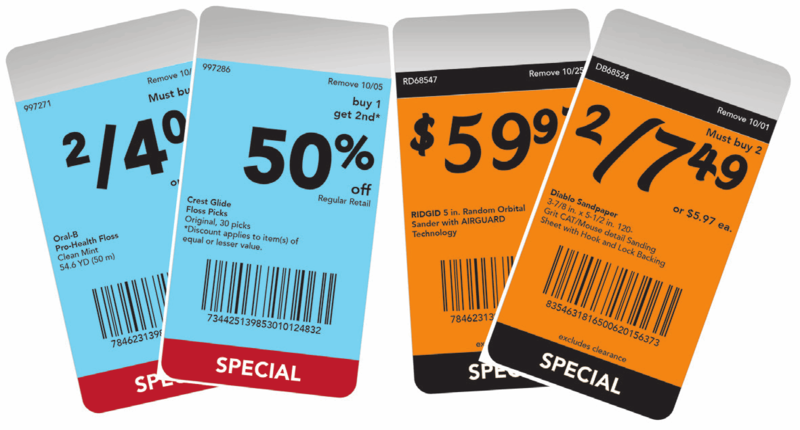 Retail stores have begun using temporary shelf edge labels (often longer labels printed on bright-colored stock) to provide information on special offers or price reductions.